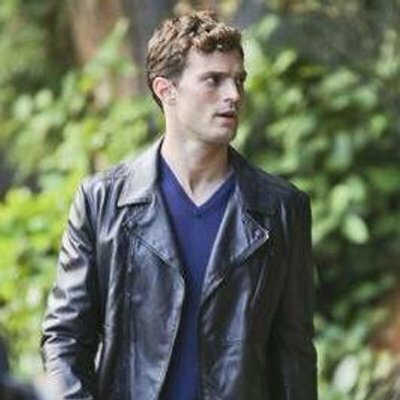 Welcome to Everything Jamie Dornan - North America's largest online resource for the Irish born actor. 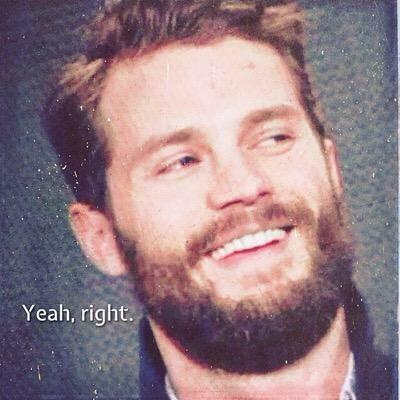 As fans of Jamie, we encourage and support him in all of his past, present and future endeavours, whatever they may be. With administrators in Canada and the USA, EJD strives to be a comprehensive source for fans of Mr. Dornan who seek a thrilling experience relevant to his career. As devoted fans of Jamie, we aspire to uphold a respectful, fan oriented environment focused on maintaining a high regard for his personal life. After what has felt like an eternity waiting for it to happen, it’s finally coming to fruition. Untogether is scheduled to premiere at the Tribeca Film Festival in New York in April! This years festival runs from Wednesday April 18 through Sunday April 29, 2018 but not to worry – we already know the date Untogether is scheduled to premiere. April 23rd is the golden day. Mary Shelley, a film chronicling the author of Frankenstein which Amelia brilliantly scored, will have a showing as well. How sweet! Both Jamie and Millie will have films shown at the festival. Although Jamie and Millie haven’t been confirmed as attendees, it would be quite the opportunity to miss, so we’re hopeful they’ll both be in New York for the festival. In the meantime, we’ve been blessed with two new Untogether stills! A movie we’ve desperately been awaiting any little piece of knowledge on is finally beginning to bloom. Check them out in the gallery! 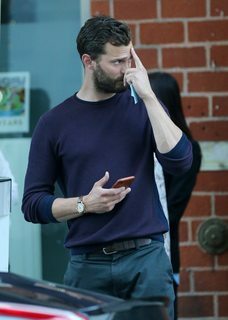 How is it that Jamie can make the most mainstream, hum-drum, garden-variety every day things look effortless and hot AF as he’s doing them? Sigh. 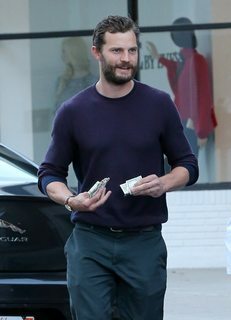 Jamie was spotted leaving Mr. Chow’s Restaurant yesterday evening (March 6) and now Mr. Chow is my favourite restaurant ever, even if I’ve never dined there. He’s not really doing anything special, other than waiting for the valet and eventually getting into his car. Perhaps it’s a combination of what he’s wearing accompanied by his wedding ring, blooming beard, his long and prominent fingers and borderline Sheriff Graham hair, but his fans erupted in simultaneous combustion over these photos. But then again, we do that no matter what Jamie does. These photos however, are exceptional. You’ll find 16 drool worthy photos of Jamie leaving everyone’s new favourite restaurant, Mr. Chow’s, yesterday (March 6) in the gallery. Jamie continues to soak up everything sunny Los Angeles has to offer. 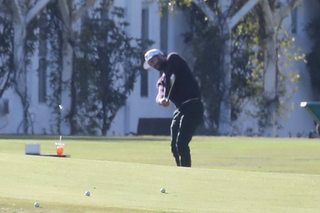 Jamie was spotted on a driving range for the second time (that we know of) practicing his swing in Los Angeles yesterday. 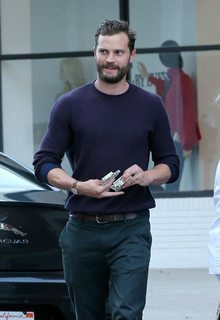 Although the photos are grainy, it’s still abundantly clear that Jamie is enjoying his vacation in LA often taking advantage for some rest and relaxation doing the things he enjoys. He and wife Amelia spent the weekend attending Oscar parties, including celebrating Women in Film. After some PR, looks like Jamie needed a chance to chill and spend some time on the green. Maybe he’s getting ready for Alfred Dunhill Links 2018? Let’s hope! There are 21 HQ’s (although rather granular) photos of Jamie on the driving range yesterday (March 6) available in the gallery or by clicking the link or thumbnails below. FIFTY SHADES FREED DIGITAL HD, BLU-RAY AND DVD RELEASE DATE ANNOUNCED! The USA and Canada will get their hands on copies of the Unrated Editions of Fifty Shades Freed in just a couple of weeks! The Digital HD copies will be available to download on April 24 while the DVD/Blu-ray will become available on May 8, 2018. For UK fans, Digital HD will become available on June 4 while the DVD/Blu-Ray will become available on June 18. A list of special/bonus, exclusive features are listed below and what we can expect in terms of those deleted scenes we so desperately require! Universal City, California, March 6, 2018 – The global film sensation sparked by EL James’ best-selling book trilogy returns with the seminal final chapter of the darkly alluring tale that captivated the world. Stay in, complete your collection and experience the climax of this worldwide phenomenon with the ultimate at-home movie night when Fifty Shades Freed arrives on Digital and the all-new digital movie app MOVIES ANYWHERE on April 24, 2018 and on 4K Ultra HD, Blu-rayTM, DVD and On Demand on May 8, 2018 from Universal Pictures Home Entertainment. Believing they have left behind shadowy figures from their past, newlyweds Christian (Jamie Dornan, “The Fall,” Anthropoid) and Ana (Dakota Johnson, How to Be Single, Black Mass) fully embrace an inextricable connection and shared life of luxury. But just as she steps into her role as Mrs. Grey and he relaxes into an unfamiliar stability, new threats could jeopardize their happy ending before it even begins. Directed by James Foley (“House of Cards,” At Close Range), Fifty Shades Freed also features returning cast members Eric Johnson (“The Knick,” “Smallville”), Rita Ora (Fifty Shades Franchise) as well as Oscar® winner Marcia Gay Harden (Fifty Shades of Grey, Miller’s Crossing). In addition to both the original theatrical version and a steamy new unrated version, Fifty Shades Freed comes with more than 30 minutes of never-before-seen bonus content, including a deleted scene, cast interviews and behind-the-scenes features. You get more passion, more drama and more suspense when you own the final chapter on 4K Ultra HD, Blu-rayTM, DVD and Digital. • An Intimate Conversation with EL James and Eric Johnson – A casual conversation between EL and Eric discussing the film, favorite moments, themes, etc. Jamie and Amelia attended a second Pre-Oscars party this year. For the second time, they attended the Pre-Oscars Dinner hosted by Chanel and Charles Finch at Madeo Restaurant in LA on March 3. Looking for something? Search EJD’s archives. 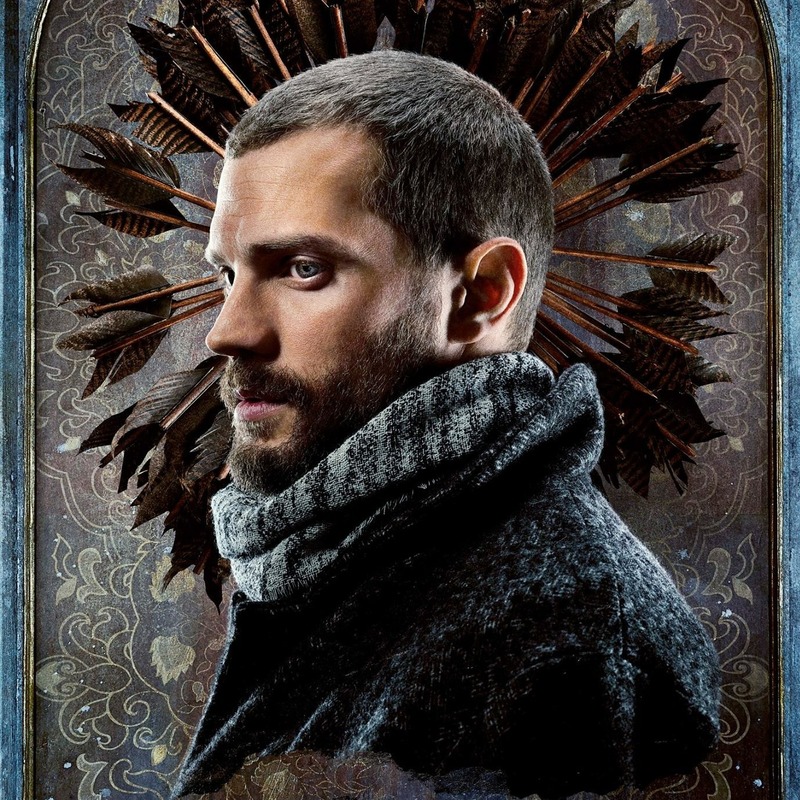 Set in the countryside of Northern Ireland in 1885, Liam Ward (Jamie Dornan) helps a spontaneous Beth Winters (Ann Skelly), struggling with to control her destiny, escape a restricted life and troublesome relationship with her landowner stepfather (Matthew Rhys) on her 25th birthday. Written by author Eugene McCabe, it is set to become a BBC mini-series, based on the 1992 novel by the same name. Producer Jim Sheridan’s next great film will be based on the true story detailing the September 25th, 1983 Maze (Great) Prison Escape in County Antrim, Northern Ireland. The prison was renowned for being one of the most escape proof, impenetrable prisons in the world. The films production has been postponed. After Christian and Ana wed, everything seems to be finally falling into place – except it’s not. With the women of Christian’s past behind them, a new threat comes forward which threatens their happily ever after. Based on a true story recalling the unlikely friendship between Hervé Villechaize (Peter Dinklage) and a journalist named Danny Tate (Jamie Dornan) who interviews him just days before Hervé commits suicide in 1993. 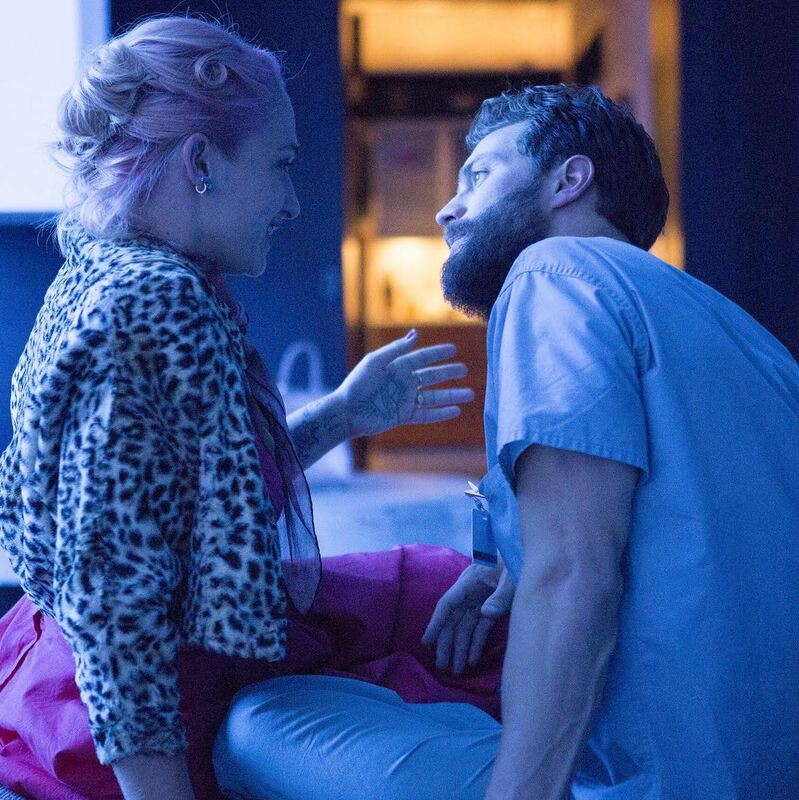 Untogether pursues the affair between a former teen prodigy turned heroin addict (Jemima Kirke) now sober, who’s struggling to become a writer and Nick (Jamie Dornan) who plays a successful writer with his memoirs of war-time bravery, which in turn has showered him in wealth and women. The film premieres at the Tribeca Film Festival in April. Paul Conroy (Jamie Dornan) accompanies American war correspondent, Marie Colvin (Rosamund Pike) as she reports from conflicts overseas including Kosovo, Chechnya, East Timor and the Middle East. An IRA operative (Dornan) hunts down the person responsible for the accidental lethal shooting of his wife – an SAS captain (Claflin). Production is scheduled to start this summer in London and Dublin. Want to be an affiliate? We're always hoping to make new friends! Click here. to apply! Everything Jamie Dornan is thrilled to join #OfficialFifty for #FiftyShadesFreed, now playing! The DVD dates have been set! The US and Canada can expect Digital HD on April 24 and the DVD/Blu-ray Combo Packs on May 8, 2018. The UK can expect Digital HD on June 4 with the DVD/Blu-ray Combo Packs on June 18, 2018 just in time for Christian's Birthday. Be sure to follow Fifty Shades on all their platforms, and visit their updated website to prepare for all things Freed.